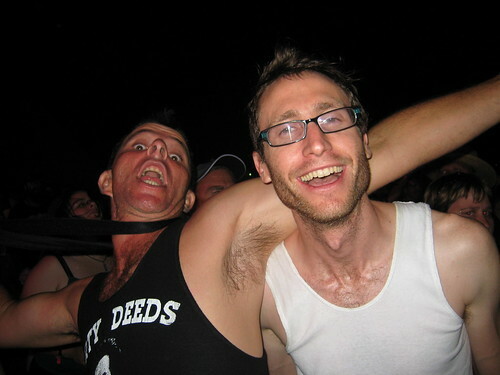 Lucas is over his Lurgy…and had kindly agreed to come in despite being very busy… please make him welcome. Today Dr Lucas Ihlein has been generous enough to volunteer to come and talk to us about the development and sustain of his practice. Perhaps more than any of the artists Lucas’s work is concerned is made of process and relation and so he has really had to focus on the relation between art process, practice, and its artefacts or objects. Luca’s work is part Activist, Environmental ,Social, Aesthetic, and certainly Research – but its the dialogue that he sets up between those that makes his work particularly interesting. I certainly found myself think about those Biotypes when I was looking over his catalogue….the relation between Art and the Civic is a particularly interesting aspect of Lucas’s practice. the Yeoman’s project which was exhibited to much acclaim at the New South Wales Gallery. the Bon Scott Blog and much more listed here. There has been some suggestions that Presentations are not useful for the development of projects. I’ve taken that on board and think we will employ a combination of small group discussion/presentation/six hat thinking/and conceptual speed dating. This doesn’t change the fact that you’ll need to have a presentation of sorts organised with some material ready to go next week. Discuss this in small groups – if you hate it – be prepared to put an idea up as an alternative or to defend presentations…. • Blue [Cool, Controlled, Analytical, Managing] asks: what is the subject? what are we thinking about? what isthe goal? what is our approach to this task? • White [Objective, Facts, Figures, Information] asks: what do we know about the subject/ task? what are the facts? • Red [Emotions, Feelings, Intuition] asks: how we feel about it what are our immediate feeling or instinctive gut reaction about it? • Yellow [Sunshine Optimism, Optimistic response] asks: what do I like about it? what are the potential benefits? • Green [Creative, Fertile, Growing] asks: what if…? • Black [Discernment, Critical] asks: what is the problem with it? what would be a logical and strategic way to achieving the goal? What is feasible? In your workshop groups Starting with the Blue hat, explore the task you have been given: come up with a theme/proposal for the end-of-session exhibition. 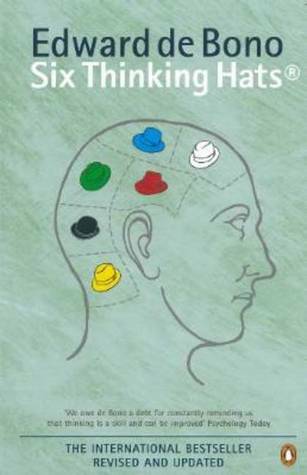 Then work out a way you may approach the problem using the Six Hats method. As you move through the hats (starting with the blue hat, followed by the white), come up with additional questions (to the above) in response to the task given. Write down your answers to these questions (you can draw a diagram if you like). Hopefully, as you work through the hats (you can go back and forth, in different order after white), you will come together in proposing a theme. Table your theme and we will take a vote in class. 1. Curatorial: looks after the artworks and allocation of spaces, generally how the artworks are exhibited. 2. Technical: looks after the equipment (allocation) and installing of the works or stipulating guidlines (e.g. deadlines). 3. Public relations: makes the exhibition known to interested parties, stakeholders, general public etc. 4. Catering and event: looks after the running of the event itself such as the opening and later if the exhibition runs over a few days the manning of the venue. 1. Goals: What is your purpose? 2. Roles: Who needs to do what? 3. Procedures: How are we going to achieve our goals? 4. Relationships: How will we communicate? How will we support each other in completing the task? • Define your procedures (including information you may require from participating students, deadlines).